Tenute di Pecille (The Pecille Estates) are the property of Giovanna Manetti, descendant of an old Chianti family of entrepreneurs whose traditional activity is the production of quality Florentine terracotta tiles. 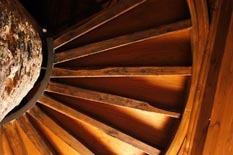 As such, they also furnished the roof tiles of the dome of the Cathedral of Florence. In more recent times the Manetti family became owners of Azienda Agricola Fontodi, one of the most prestigious wine estates in Chianti Classico, recipient of numerous and continuous awards at an international level. Tenute di Pecille are comprised of three structures. Two of these, Villa Pecille and Villa La Rota, are located among the vineyards of Azienda Agricola Fontodi and in the marvellous valley called Conca d’Oro (the Golden Shell) of Panzano in the heart of Chianti Classico. The third structure, Villa I Canonici, is situated in an equally beautiful countryside near Tavarnelle Val di Pesa. The three structures were skillfully restructured and adapted to modern comfort standards, while respecting the original architectural style. Typical Chianti materials such as terracotta tiles and “pietra serena” were used, and the houses were then tastefully ecorated with quality upholsteries and period furniture, the work of talented local artisans. In this manner an atmosphere of elegant sobriety was recreated, which has always been a characteristic of the Tuscan countryside. 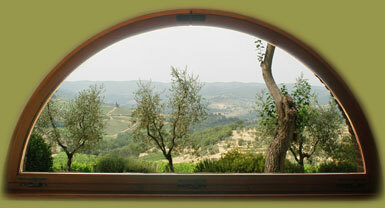 The primary interest of the owner and her staff is to offer their guests the possibility of enjoying a relaxing and pleasant vacation in the Chianti countryside, half-way between Florence and Siena, and to enable them to live a unique experience while discovering the numerous artistic, cultural and eno-gastronomical resources of this land.